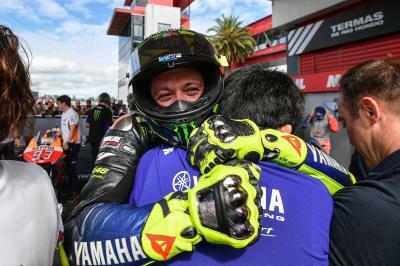 Valentino Rossi (Monster Energy Yamaha MotoGP) made a welcome return to the rostrum at the Gran Premio Motul de la República Argentina having missed out on a Sunday parc ferme spot since the 2018 German GP. 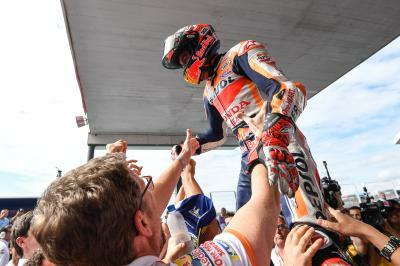 “It was Sachsenring last year which is a long, long time. 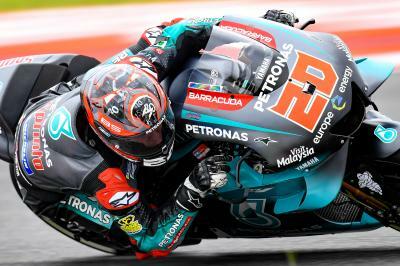 Especially because last year in the last two races in Malaysia and in Valencia I was first and second but I made two mistakes so to finish the championship like this was really difficult to accept. 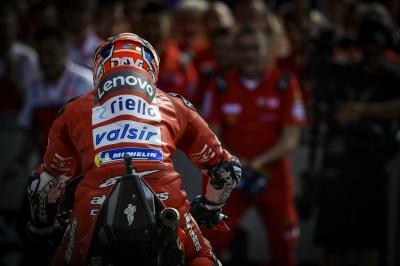 So, also for this reason, this result is so important for me, for my team, for Yamaha because we arrive from a difficult period and I’m so happy,” said Rossi, who got the better of Mission Winnow Ducati’s Andrea Dovizioso on the last lap at Turn 7 to secure P2 in Argentina. 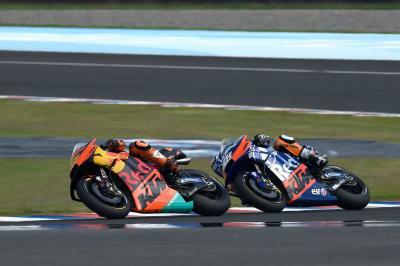 This result, coupled with a fantastic comeback ride from 14th to 5th in Qatar suggests Rossi and Yamaha currently stand in good stead for the season. And as the Italian explains, he and his team worked well from the off in Argentina as they continue to work in the right direction. 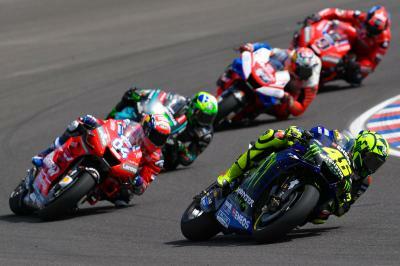 Rossi’s best result at the Circuit of the Americas came in 2017 when he picked up a second place. 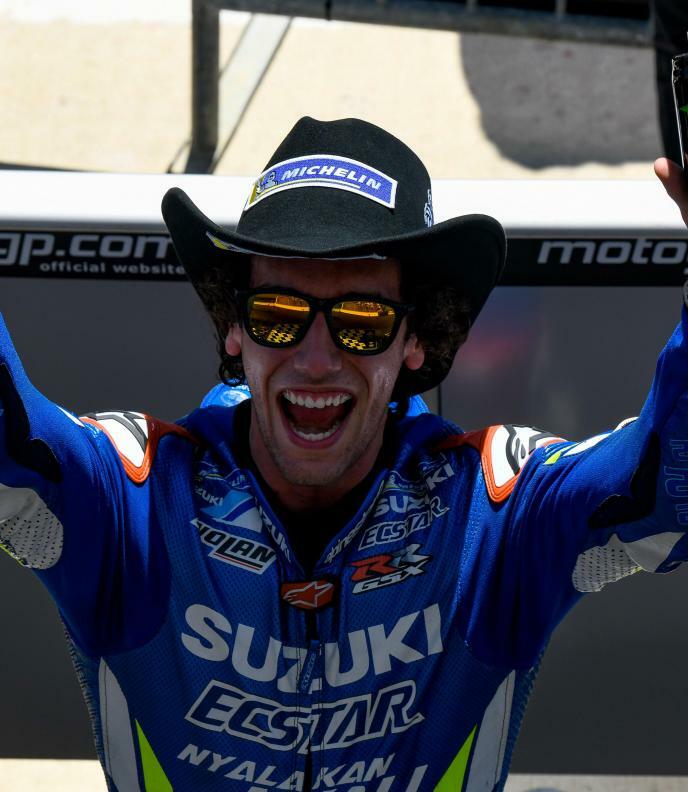 But what is the 40-year-old expecting this year when the paddock visits Austin in two weeks’ time?